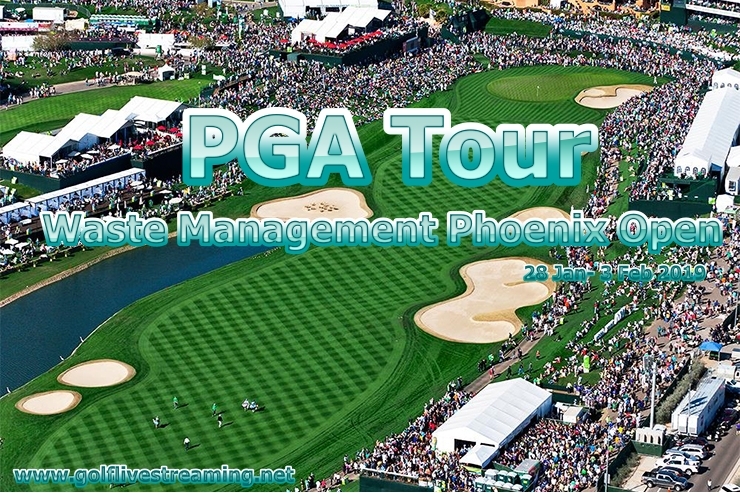 The Phoenix Open is a PGA Tour golf event and it is also called the Waste Management Phoenix Open because of sponsorship. Every season it held at the end of January and finished in the starting week of February. The Waste Management Phoenix Open 2019 will begin from 28 January to 3rd February 2019 at the Tournament Players Club (TPC) of Scottsdale, Arizona. Originally the competition was the Arizona Open. Previously the Waste Management Phoenix Open was held with several names for many years including Phoenix Open and the FBR Open. The Waste Management started to sponsor this tournament in 2010. The Waste Management Phoenix Open characteristics more than $6 million prize money for the golfers, and it captivates few of the best names on the PGA Tour. The Waste Management Phoenix Open attendance ratio is high on the PGA Tour, the one single day viewer’s ratio is more than 185,000. The outstanding golf, hot climate, and relaxed atmosphere support to attract fans from all around Arizona and the country to the Waste Management Phoenix Open, that makes every day of the event is full of entertainment and excitement.